#TGIF 300 Flash Mob: Why Aren’t My MUNI Experiences Like This? 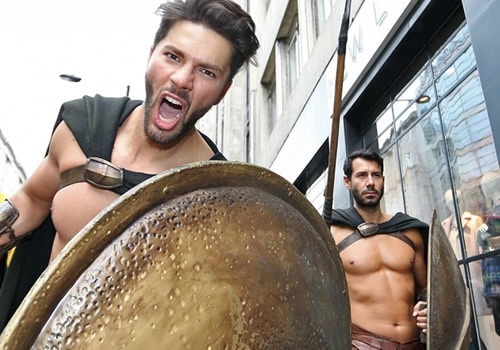 To promote the upcoming DVD release of “300: Dawn of an Empire,” these gladiators took over the London Underground. I just wish my MUNI commute was much more this and much less delays and panhandlers.